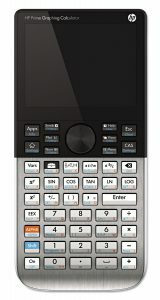 A graphing calculator is capable to plotting graphs, solving simultaneous equations, and performing other tasks with variables, some graphing calculators are also programmable which allowing the user to create customized programs and solutions, typically for scientific/engineering and education applications. 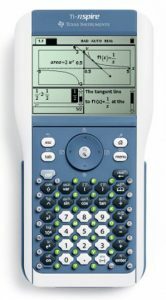 We offers a wide range of graphing calculators, the same tools used daily in math and science can now facilitate the study of language arts, social studies, history and more by building interest, encouraging exploration and, ultimately, deepening understanding, this calculators provide portable calculating power for scientists, engineers, mathematicians, surveyors and students. 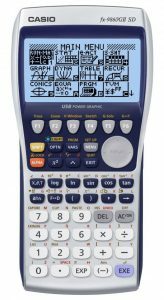 TI-84 Plus graphing calculator, ideal for math & science, features more than a dozen preloaded apps including functionality that encourages exploration of interactive geometry, inequality graphing, & real-world data collection and analysis. 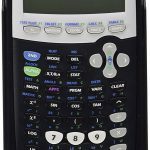 This graphing calculator comes with an onscreen icon-driven menu provides easy access to advanced functions and permitted for use on the PSAT/NMSQT, SAT, and ACT college entrance exams and AP tests. 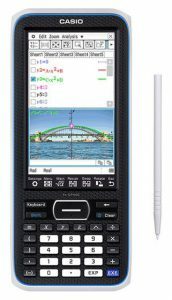 An easy to use & perfect graphing calculator for school classes ranging from algebra through calculus & biology to physics, TI-83 Plus is enhanced with Flash technology for flexibility in adding software applications & additional functionality. 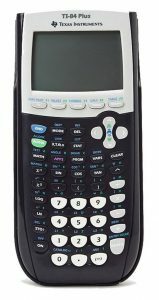 Increase productivity with TI-Nspire CX graphing calculator that provides algebraic capability to symbolically solve equations, factor & expand variable expressions, complete the square, find antiderivatives & exact solutions in irrational forms. 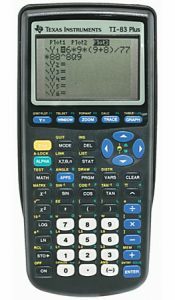 Features advanced 3-D graphing, mathematics & engineering functions, built-in CAS allows to explore & manipulate mathematical expressions in symbolic form, 16 preloaded graphing calculator software apps including EE*Pro, CellSheet & NoteFolio. 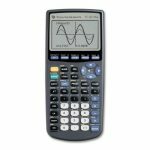 Featured a Computerized Algebra System (CAS) that enables a deeper understanding of abstract concepts in math and science, making this calculator ideal for professionals or academics who deal in abstract physics or other sciences. 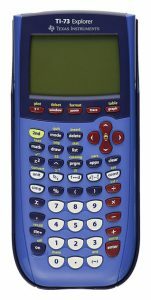 Graphing calculator specifically designed for middle grades mathematics and science, enhance students’ learning experience with fraction exploration and supports interactive learning and data-collection. 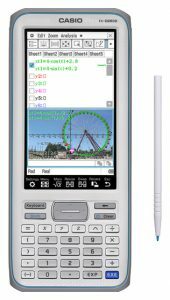 The revolutionary graphing calculator with patent-pending features that enhance understanding of even the most complex mathematics, fx-CG10 calculator allows for a new way to learn math by enabling students to experiment with concepts utilizing real-life images. 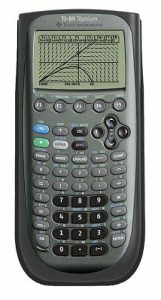 Enhanced with high resolution and full-color capabilities, captivating color and optimal display to visualize concepts clearly and make faster, stronger connections between equations, data, and graphs. 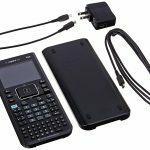 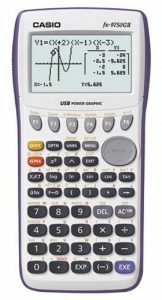 Feature-rich graphing calculator which has a full-color, gesture-based, and pinch-to-zoom interface, background images, function sketching, multiple math representations, wireless connectivity, and a rechargeable battery. 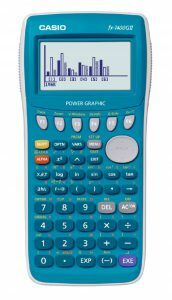 This graphing calculator making it possible to specify the graph to plot for yourself serves to enhance your understanding of it, providing a better overall understanding of examples from the textbook. 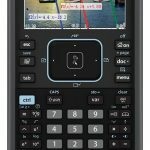 Perform complex calculations in seconds, visualize concepts clearly and make faster, stronger connections between equations, data, and graphs in full color, approved for use in ACT, SAT, PSAT/NMSQT or AP exams. 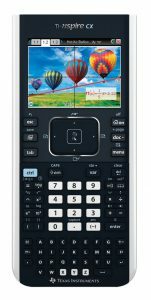 TI-Nspire makes the most advanced mathematic calculations & graphing functions simple with an easy-glide touchpad plus innovative capabilities encourage students to explore math & science for greater conceptual understanding. 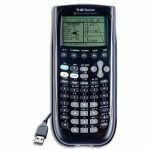 fx-9860GII is designed for teachers by teachers with powerful and quick calculations to meet the high demands of today's student's and educators. 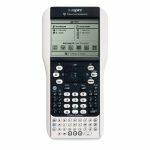 Equipped with an SD memory card slot for easy data transfers and large screen to display fractions, exponents, logarithms, powers, and square roots just as they are written in the textbook. 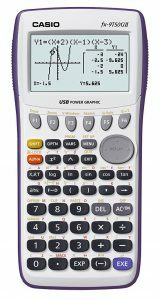 The large color LCD makes it easy to observe mathematical formulas, graphs, and images, realizing more comfortable operation and offers intuitive stylus and finger touch operation. 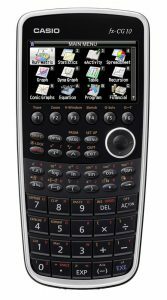 Next-generation graphing calculator complete with a high-resolution, color, touchscreen LCD, & a Natural Textbook display. 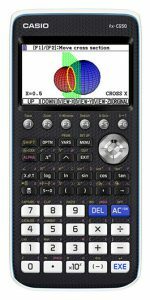 Features interactive 3D graphing with natural math illustration that shows fractions, square roots, radicals and other numerical expressions the same way as they appear in math textbooks.